Duke junior Rasheed Sulaimon was dismissed from the men's basketball team on Jan. 29, 2015, with no official explanation given. According to a report published today by the Chronicle, Duke's student newspaper, Sulaimon was dismissed more than a year after he was accused of sexually assaulting two female students. The Chronicle also reports that high-ranking members of the university's athletic department were aware of the allegations as early as March 2014, and violated federal law by failing to report them. The Chronicle reports that the allegations against Sulaimon were made on two separate occasions at a student retreat called Common Ground, which is held once each semester, and cites multiple witnesses at each retreat. 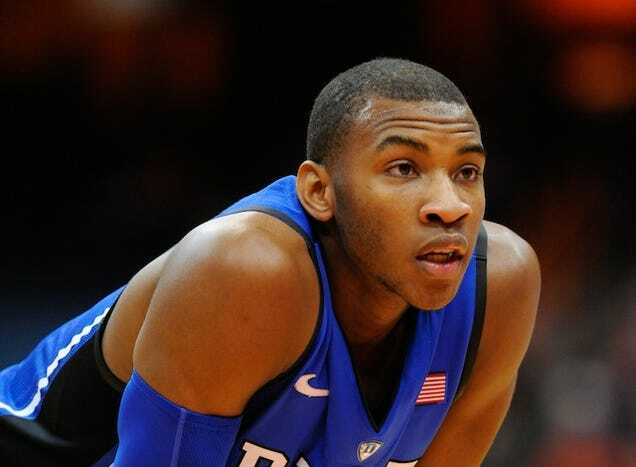 Separate allegations of sexual assault by Sulaimon came from two female students in the 2013-14 academic year. Both students voiced allegations publicly, but neither filed a complaint through the Office of Student Conduct or took legal action through the Durham Police Department. The students declined to discuss their allegations with The Chronicle. In October 2013, a female student said in a large group session at the student-led diversity retreat Common Ground that Sulaimon had sexually assaulted her, three retreat participants said. At the following semester's Common Ground retreat beginning in February 2014, a second female student said she had been sexually assaulted by Sulaimon, according to four retreat participants. Neither student filed a police report or an official complaint with the university, but the Chronicle reports that word of the alleged assaults still reached people in the athletic department, including the head coach. The allegations were brought to the attention of a team psychologist in March 2014, the anonymous affiliate said. That month, the allegations were brought to Krzyzewski and assistant coaches Jon Scheyer and Nate James and associate head coach Jeff Capel The anonymous affiliate said other athletic administrators were then made aware of the allegations. Among the administrators identified by the anonymous affiliate were Mike Cragg, deputy director of athletics and operations; Director of Basketball Operations David Bradley; and Kevin White, vice president and director of athletics. The allegations were also brought to the attention of Sue Wasiolek, assistant vice president of student affairs and dean of students, according to the anonymous affiliate. "Nothing happened after months and months of talking about [the sexual assault allegations]," the anonymous affiliate said. "The University administration knew. Kevin White knew, Mike Cragg knew." Title IX laws require almost all university employees to report any sexual assault allegations they have knowledge of to a supervisor, campus police, or the Student Conduct office, even if no official complaint has been lodged. In this case, the two students who claimed to have been assaulted by Sulaimon had painfully familiar reasoning for choosing not to formally file complaints.